It’s been a while since I’ve done a Chicago-specific post. I’ll spare you any discussion of the mayoral election or the performance of our sports teams, and talk about a controversy that’s been building for a while – street food carts in Chicago. What’s the big deal? Well, a lot of people want food carts. 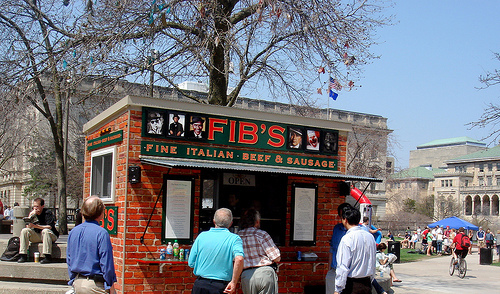 Many entrepreneurs and restauranteurs would love to have a food cart. But just as many people have concerns and objections. They worry about the safety of food prepared on carts, about the competition for space between dueling cart owners, about the mobile kitchens stealing business from existing brick and mortar restaurants. And those are all valid concerns, to be sure. Many true “food carts” in the city now are illegal and are cooking food on the premises, which isn’t permitted. That food isn’t regulated, and neither are the people running them. No one is checking whether food is being refrigerated or heated at the appropriate temperatures, which can result in serious health issues. There are a limited number of regulated food carts in the city right now, but they are featuring food that was prepared in a regulated restaurant or shop and is being sold cold or at room temperature. I’ve heard lots of pros and cons, but few people have mentioned my old hometown of Madison, Wisconsin when they talk about this issue. They should, because Madison has one of the best organized, best run, and plain yummiest selection of food carts. And somehow, no one has died and people have made money. Imagine! Carts are assigned spots. The whole will-someone-poach-my-spot issue never comes into play. (Then again, this is a town that seems to always be in the midst of a dibs war, so who knows if other cart owners would respect someone’s spot?) They’re mainly in public areas near the state capitol and the university. Carts are generally limited in the hours they sell food. Most of the carts were open during the day and during weekdays. And many of them were within 500 feet of existing restaurants. But they didn’t seem to poach each other’s business. In fact, the concentration of healthy, delicious food brings more people to that area. The only thing carts competed with in Madison – and affected – was fast food. Because who wants to go to stale ol’ Subway if a tasty taco cart or falafel wagon is nearby? There are 40 to 50 carts in the downtown Madison area, and they’re some of the most popular places to go. But Madison is a quarter of a million people. Could it work in a city of three million plus? Sure. There would need to be adjustments. Assigning spaces in public areas would be a start, but allowing some carts to be mobile and stop in several areas – as some of the current carts do (hello, cupcake wagon) should be allowed. There would have to be a real effort to regulate carts not just in the Loop but everywhere. And that would require a very multicultural approach to this project, since so many neighborhoods have their own cultural culinary strengths. Neighborhood organizations should be able to decide where carts can sell, so it doesn’t impact their homes, neighborhoods or businesses. I think the weakest part of this idea is not the carts themselves, but the ability of the city government to inspect and regulate them. They barely sustain the restaurant inspections they’re required to do now, and they’ve shown a lack of respect in the past for new food communities and entrepreneurs (they’ve tossed out months of work in raw food establishments). I really hope Chicago can pull it together, though. 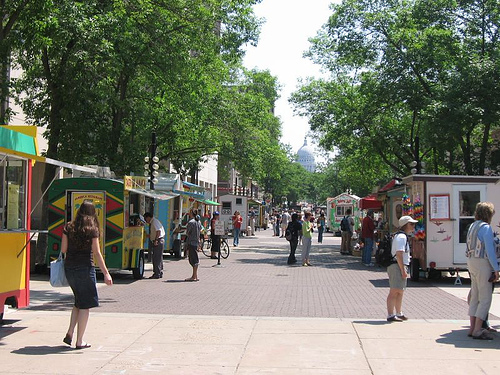 Food carts are a great experience, a great combination of old and new ideas. My friends over at the writing Web site Red Room asked members last week to vote for books that were made into great movies. RedRoom was accentuating the positive, and there are a few books that most of us can agree did translate well to the screen: To Kill A Mockingbird, the Harry Potter and Lord of the Rings movies. But I’m going to be a little black raincloud and focus on the books that didn’t translate so well to the big screen or the TV screen. Because we all know that’s a much longer list. My votes in that category go to the films made from Midnight in the Garden of Good and Evil and the Tales of the City books. Midnight was a phenomenal non-fiction, true crime book that was made into a movie in 1995. But despite having Clint Eastwood as a director, the movie was a disappointment. Why? Well, in my opinion, this story would have been better told as a miniseries. 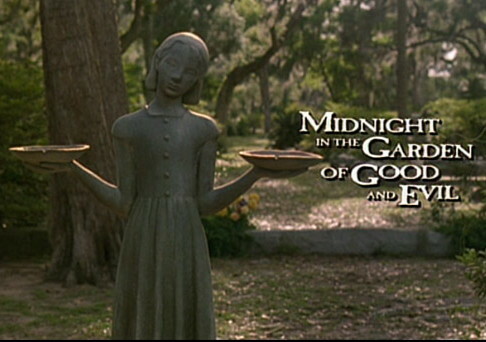 Midnight is populated with the very colorful and eccentric characters of Savannah, Georgia. I think that it needed a bigger canvas than a two-hour movie. Six or eight hours (hell, even four hours) would have been a much better way to tell the story. A limited run series on HBO would have been great, and still attracted the big screen talent (Kevin Spacey, Jude Law, John Cusack) that were in the movie. Fans of the book were up in arms – after all, so many of the interesting, colorful characters had to be cut or condensed due to time. Why were we seeing a character who wasn’t even in the book? 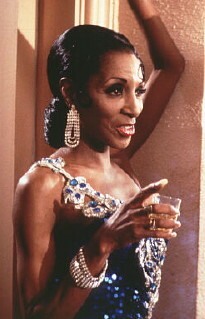 The redeeming moments of the movie were the ones featuring The Lady Chablis as herself. Eastwood wisely got THAT decision right. 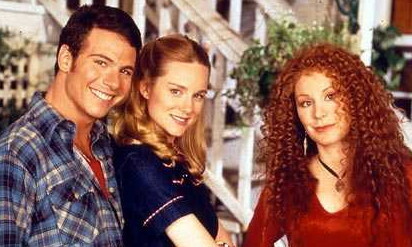 I wasn’t necessarily as disappointed in Tales of the City, but I think that book, which was filmed as several miniseries, would have been much better served if it had been developed into an actual television series. I say this for many of the same reasons: the story and the characters would have been much better served by having more time to explore them. Tales was a serialized story, so making a series of the books on TV seemed like a no-brainer to me. And it was serialized to a degree – as a miniseries. This seemed to work well in the first miniseries. These are just two stories that I can name (and ones that I thought suffered for similar reasons). There’s certainly many more. What’s your vote for great book, horrible movie? And more importantly – why do you think so many filmmakers stumble when adapting a book to film? Music has always been an addiction of mine, and I listen to artists from almost every genre and from every decade. I’ve always been drawn to artists who had unique voices. Some people love the perfection that a vocal acrobat like, say, Celine Dion provides. But I like hearing an artist’s story in their voice – or at least glimmers of their personality. Musicians (like bloggers, politicians and…well, everyone) are all WAY more interesting and compelling to me when they speak in their true voice. Then there’s Marianne Faithfull, one of my favorite artists. Her voice tells as strong of a story as any of her lyrics do. Here’s Marianne in 1965, when she first came into the public eye, with “As Tears Go By”. Marianne’s life after that song was filled with a lot of darkness and a lot of challenges – as well as enough heroin and hard drugs to sustain the GDP of an entire country. THIS is Marianne today – an astonishing difference. Her voice already had some edges to it even then, but it’s definitely changed with age. In 2008 she brought the house down at the Kennedy Center Honors singing a cover of the Who’s “Love Reign O’er Me.” What she does with this song is amazing. There are some interesting and quirky voices coming through today’s music as well: Bjork, Joanna Newsom, Colin Meloy of the Decemberists to name just a few. Whose voice really speaks to you? This tree is only going as far back as great grandparents? Sheesh. Amatuers! I’ve been working on my family tree for close to a year now, and as you can tell by my previous entries (or my Facebook photo and news feed) I’ve really taken an interest in genealogy. It’s a really fun, interesting project for me and I am glad for all it’s brought me: connections to some new-to-me family members, a better understanding of where we came from, and a peek into life as it was years ago. 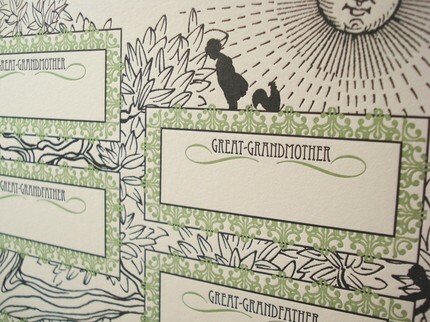 But if you’re researching your family tree? Prepare to become a bit of an oddball….or at least be perceived as one. Obituaries. I don’t know how to say this any plainer: I collect obituaries. They’re not always 100% accurate – it’s only as accurate as the source that provided the information – but it’s often a great place to start building a framework. I am totally NOT doing this. I’m certainly not celebrating anyone’s death, and I wish I would have met or been able to talk to these folks. But I’m really happy when I find this information. I recently found an obituary on a great-aunt that I’d spent months trying to locate. That ONE obit literally brought down an entire brick wall to reveal the names of her children, and I learned about an entire family I didn’t even know existed before. Two libraries helped me find that obituary and other related articles to complete the picture. NOTE: That’s one of a million reasons that all of us should support our local libraries – not just with dusty old books from your basement, but some cash dollars to help sustain them and all of the wonderful work they do for the WHOLE community! Graveyards. Yeah, cemeteries are certainly not Party Central. Most people want to stay away from them (we’re all headed there someday) and only go when needed or obligated. I’m a bit queasy about it myself. But I have to admit: Sites like FindAGrave.com have been really valuable in helping me bridge a gap when obituaries haven’t been available or easy to find. Knowing a date of death or where someone died is really helpful – to find out about them, as well as finding out more about their ancestors or descendants. History geek. I admit it; I’ve become more of a history geek than I ever was before. 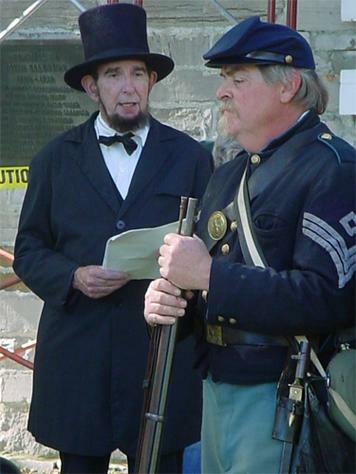 I used to roll my eyes at those people who would do Civil War reenactments. But truth be told, I’m only a few degrees away from there! I did well enough in my History classes at high school and in college. But I was always the 70s and 80s pop culture kid; out with the old and in with the new. So this is quite a 180 for me in my thinking. I’ve become interested not only in my own history and my family history, but also about how that fits into a bigger context (our state and our country). I’ve posted before about the working conditions that my ancestors lived through. Enough men on both sides of my family died in the mills and mines to have started their own union. One man had his head crushed by the claws on a crane. That’s enough to put your stuck-in-traffic, bad Monday morning into some SERIOUS perspective. So, yeah, OK. I get it. It’s all a bit odd. But only just a little bit. There are far stranger and more socially awkward things to do. 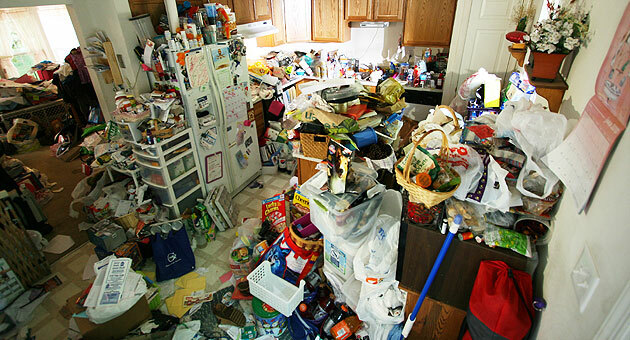 You’ve seen Hoarders, right? 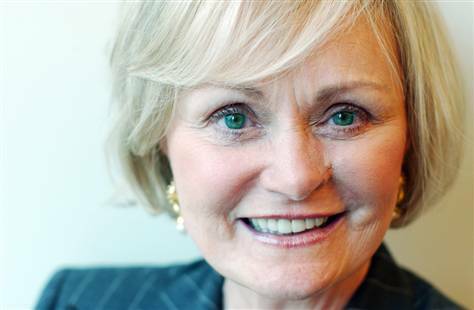 I’m about to say something I never thought I’d be saying aloud: I’ve come to respect Kitty Kelley, and I think she’s engaged in a valuable conversation about modern journalism. Yeah, I know. She’s queen of the unauthorized biography. In the gilded halls of literature, “unauthorized” translates to “trashy beach read.” Her prose can be bulky and clumsy, and the narrative tone in her books often takes the tone of the “psssssssst!” style of gossip. So how can I mention Kelley and journalism ethics in the same sentence? Because she’s made an excellent point in recent interviews and essays: Good journalism should, to some degree, be unauthorized. That’s how we get the real story. Her recent essay for American Scholar mentions a case where CBS reporter Lara Logan (a veteran foreign correspondent) admitted on a CNN panel discussion that she avoided asking potentially controversial questions to the leaders of the American military in Iraq. Why? So she could sustain ongoing access and, she may have assumed, “candid” comments from the generals there. The problem with that theory, of course, that another journalist (Michael Hastings from Rolling Stone) did ask those questions, and the end result of the release of that interview was the firing of General Stanley McChrystal. Kelley may have said it best in her essay: I do not relish living in a world where information is authorized, sanitized, and homogenized. I read banned books, I applaud whistleblowers, and I reject any suppression by church or state. To me, the unauthorized biography, which requires a combination of scholarly research and investigative reporting, is best directed at those figures, still alive and able to defend themselves, who exercise power over our lives. So where do we draw those lines when we’re reporting stories? You can’t find a better or more timely example of this than WikiLeaks. As a country that declares freedom of the press in our Constitution, we should be defending the utter freedom of information. But is WikiLeaks a brave stand for that sort of transparency, or an unethical unearthing of information that jeopardizes our safety? I remember a few years ago reading an academic essay that called much of today’s journalism “Us vs. Them” journalism, particularly print journalism. Few reporters map out all the aspects of a story. Increasingly, as a way to engage the reader/audience, news stories are written as if they were feature stories. Reporters find the main point of interest to write about, and then in an attempt to offer “balance,” they find someone or something representing the polar opposite and include that in their story as a “counterpoint.” It’s no wonder we seem to be so polarized in this country – our information feed certainly is! The us vs. them mentality is everywhere, and it’s probably due to a number of factors: decreasing budgets for print, TV and radio news; a perceived shortening of our collective attention span; the need to tie every story into a bow and resolve it as if it was some sort of 1980s sitcom, with hugs and lessons at the end. I’m not sure Kelley’s books have ever had the same impact as the WikiLeaks documents; knowing who Frank Sinatra slept with, or that Prince Philip has a short temper, is hardly equivalent. But while we can pass judgement on the importance of her work, I can’t deny that she’s exhaustively researched her subjects – and gets verification from sources. The bigger lesson from Kelley is her willingness to look beyond the surface and dodge the spoon-fed stream of PR chatter to find the real story. It’s a reminder to me that when I’m trying to sketch out an outline of a story I’m writing, I also need to make that sketch (metaphorically speaking) in pencil, so that I can let the story tell itself and shape itself. 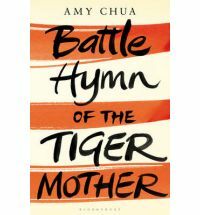 I’ve been hearing a lot of buzz about the new book Battle Hymn of the Tiger Mother by Amy Chua. The book was just published Tuesday, but it’s already creating a huge storm of controversy. Chua’s a law professor at Yale and has written several books on international affairs, but her new book is a memoir. The topic? How she’s raised her two daughters. She advocates for the “Chinese Way” – incredibly strict, disciplined and structured. After a Wall Street Journal article earlier this month previewed the book, the reaction was swift and intense – and just as polarized as you’d imagine. Readers have flinched at the unrelenting pressure Chua put on her daughters to succeed. Her take on parenting is that while the intense pressure and repetition may be a challenge for a child, the self-esteem they earn when they succeed is far more real and permanent than the “everyone gets a trophy for showing up” mentality. Chua’s choices are her own, and as someone who can’t keep a houseplant alive, I don’t want to criticize anyone’s parenting choice. I think it’s an awesome responsibility to be a nurturing, sustaining force for a child. I can (to a degree) see both sides of the argument. I had great parents. But I was also the youngest and in some ways, too smart for my own good. I was pretty adept at talking my way out of challenges and avoiding things I didn’t want to do. I ended up paying for that later in high school and college. I wish I’d have been challenged a bit more, or put into new environments at school or in the real world. There’s a lot more to Chua’s book, and this discussion, than any of these buzz-building articles cover. It sounds to me from everything I’ve heard that Chua truly loves her children, and she makes a number of solid points in everything she’s written. But when does discipline go too far? There’s a passage in Tiger Mother where Chua’s mother-in-law begs Chua for just one day with her granddaughters. Chua had not for one day allowed the girls to have a “day” of fun with Grandma. Not ONE day, at any point in their lives. The girls always had to do the things Chua selected for them, including playing the musical instruments she wanted them to. I’m all for giving them goals and focus, but it seems bizarre and inhumane to me to not let the girls choose their musical instrument (or activity). What’s worse – no choice, or too much choice? Do you think Chua’s methods go too far? UPDATED TO ADD: I’m adding this note just a few days after the original post. This book and this debate seems to be gaining momentum; I’ve seen a number of TV news pieces about it, and there’s a very well-written, nuanced look at the book in TIME magazine this week (it’s the cover story). I think this debate will be around for some time to come. Social media changes and evolves at warp speed, but the last few months have been breathtaking. There was the rumored takeover of Chicago-based Groupon by Google – and the even more stunning news that Groupon had declined Google’s offer. Contrast that with Twitter, another popular site, which (according to a recent FT profile of Biz Stone) is still losing money. And an even bigger contrast exists with MySpace, once considered a competitor of Facebook. MySpace seems to be in the midst of an AOL-style implosion, as their user base has disappeared in alarming numbers. Last week, MySpace announced layoffs of 50% of its staff. We’ve all seen tech bubbles before (hello, Pets.com!) but these two companies, at least, seem to be building on firmer ground. Have you noticed it? The news, that is. Journalists are supposed to be objective and deliver the news calmly and objectively. But when news became a 24/7 deal, and drawing viewers became more important, everything reported on the news became filled with hype. They should be handing out prescriptions for Paxil with those kinds of reports, if you ask me. And nothing is hyped more than the WEATHER. Yes, there have been several bad delays in the last few weeks. Yes, New York City has been hard hit. 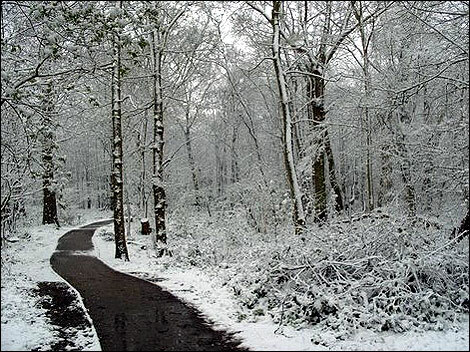 Yes, Atlanta has an unusual amount of snow. But the thing is? It’s WINTER, folks. It snows in winter. If you’re anywhere in the Midwest, New England or Mid-Atlantic states, this should not be a surprise to you. This is also, quite frankly, not headline news in most cases. But in the last few years, even the tiniest threat of snow seems to set media outlets off on a race to see who can hype this weather event the most. Anchors warning that a MASSIVE SNOWSTORM WILL CRIPPLE THE STATE!!!!!! All for a few inches of snow. Here in Chicago, we got maybe two inches of snow the other day. But from the urgency on the news (and yes, they broke into regular programming too) you would have thought a meteorite of snow was about to hit the earth. I know media outlets have to be competitive these days, but it’s gotten ridiculous. The massive hype on most local newscasts make them almost impossible to watch, because it leaves you unsure about what IS a legitimate crisis and what is just hyperbole. It’s why I usually get my weather reports from the Internet, so I can make up my mind on my own. We’re lucky here in Chicago to have a great meteorologist, Tom Skilling. He’s a weather geek, but I say that as a compliment. He not only does the forecast but explains details for the viewer. And he does it calmly and objectively, and without that fear-inspiring SNOWSTORE THAT WILL KILL YOU!!!!!!!!!!!!!!!!!!!! voice. He’s well worth watching. It’s been a few years since I consistently wrote about jobs and careers, but occasionally, people will still ask me for advice. They’re almost always asking me about a problem at work, and it’s always a variation on one of these issues: They hate their job, their boss, or a coworker. I’m always happy to listen and to share anything that I’ve learned, so I’ll ask them to tell me what happened. They’re always a breaking point – boundaries broken, too heavy of a workload, total breakdown of sanity in their environment. Unless you’ve been living under a rock, you’ve probably heard about Ted Williams. His story has been in an intense spotlight for the last week all over the Internet and in traditional media. Ted’s story, if you don’t know, goes like this: Ted is out of work and homeless, panhandling in Columbus, Ohio. The Columbus Dispatch tells his story and posts a video of him on YouTube revealing an astonishing talent: Ted has the perfect, golden “announcer” voice. Within hours, Ted’s got a ton of job offers (and a haircut), and is on all the major morning talk shows. It’s a pretty captivating story. But beyond that, I’ve been thinking about how perfectly this story is a “snapshot” of who we are and how we report on people in the media these days. Everyone loves a second chance. We have a lot of people in this country right now who have lost a great deal – a job, their home, all of their retirement savings. A lot of those folks dream about having a second chance – pressing the “reset” button and getting a big, fat do-over. People have to jump through hoops to get a job. It’s a tough market out there, folks. And the old toss-the-resume-in-the-pile process died a violent death a few years ago. People have to jump through hoops of fire AND do cartwheels to get noticed. When I was laid off a few years ago by That Website I Was a Writer For (yes, the one who Laid Me Off Right Before Christmas), I knew I was going to have to step out of my comfort zone and ring the bell for attention. I was writing for a career Web site, folks. I’d just had an intense education about what works and what didn’t in job searching, and simply clicking the “submit” button on a resume wasn’t going to get me far. As a writer, I used the tools I had: I became a source for other media outlets doing stories about layoffs. I talked to ABC News about feeling disconnected from my former coworkers. (Dudes, it totally wasn’t you, but….they were asking me for a comment! My story! In print!) I also talked to CNN Money about losing my unemployment benefits. This is the kind of out-of-the-box thinking that it’s going to take to get noticed in this market. The Dispatch helped Ted do the same, and lo and behold, it worked for him. We love to tear people down. It’s been only a few days since Ted’s inspirational story, but the most predictable thing about any inspirational story is the backlash. People have already started to tear down Williams, primarily picking him apart over his past drug and alcohol battles that led to his homelessness. Most negative comments all fall along one of two parallel lines: (a) Who the hell is this guy that he deserves all this when so many others are in pain, and (b) Why doesn’t anything fantastic like this ever happen to me? The media’s packaging of a human interest story into a commodity is hardly a new idea or even a new complaint – it was 25 years ago that the Don Henley song Dirty Laundry featured the refrain, “Kick ’em when they’re up / Kick ’em when they’re down.” It’s just a bit stunning to see how accelerated the building up (and tearing down) process has become. FOOTNOTE: From a media/social media standpoint, I’m wondering when Christian churches will embrace this story and use it in sermons and narratives. Redemption and second chances…hmm, where have I heard those themes before?